Want to make your corporate event memorable? 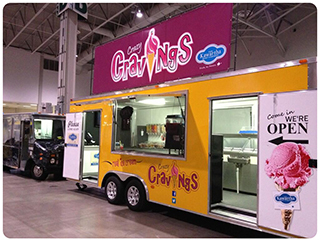 An ice cream truck will make your corporate event a blast. Ice cream brings out the kid in all of us. Plus, it’s original. No one likes the same old corporate event parties. Your guests want something new and novel. Having an ice cream truck show up is an easy and fun addition to any corporate party. No need to worry about custom menu items, guests choose their own. It’s self serve, so it’s easy for you. No mess to worry about. We will travel anywhere in Ontario. We’ll give you one invoice at the end. Send us to your #1 client! They’ll love you for it. Did your sales team reach their target? Send them ice cream. Questions? Or would you like to book us?